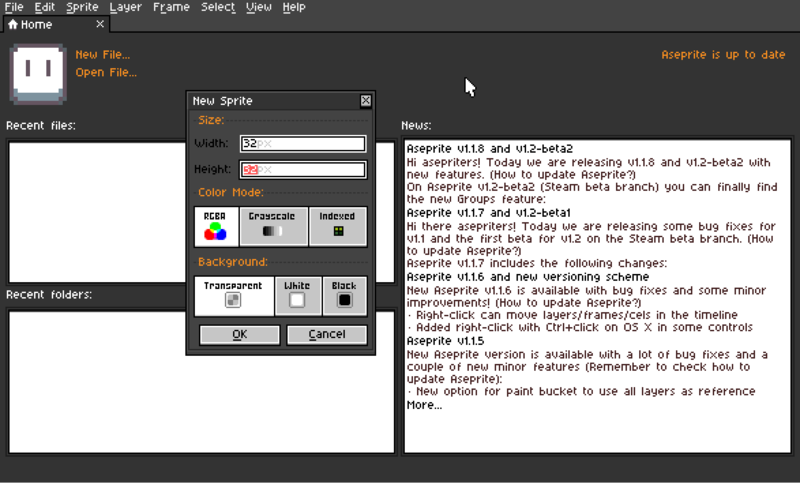 Aseprite is an open source pixel art tool. It allows you to create awesome pixel art and even animations easily. The given tools are especially made for pixel art. 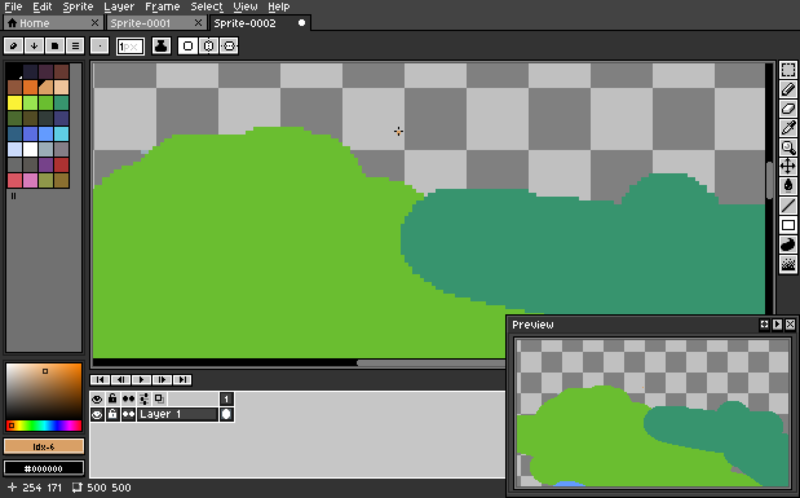 You can even create layers with transparency or export your animations as sprite sheets for game development. For more info, checkout aseprite.org! Unzip the folder and move it to your skins-folder. How to activate a skin? If you need help or have any questions, just open a new issue. If you want to contribute, please have a look at the contribution guidelines. For news and updates, follow me on Twitter! This theme is based on the default theme of Aseprite by Ilija Melentijevic & David Capello. Therefore the Aseprite Eula applies on this project, too.